Harold R. Pelton I, 74, of Fostoria, passed away on Tuesday, November 20, 2018 at ProMedica Fostoria Community Hospital, in Fostoria. He was born January 5, 1944 in Fostoria to the late Harold W. and June (Lusk) Pelton. He married Margie Thomas in 1967 at Hope Lutheran Church, in Fostoria, and she preceded him in death on March 26, 2012. He is survived by three sons, Harold “Richard” R. Pelton II, Michael A. (Rebecca “Becky”) Pelton, and Nicholas J. Pelton, all of Fostoria; six grandchildren, Addison, Addilyn, Amaya, Kenneth Martin, Nathaniel R., and Joseph A. Pelton. He was also preceded in death by a son, Kenneth L. Pelton. 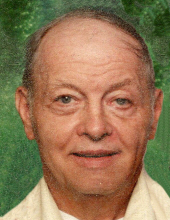 Harold joined the US Navy while he attended Fostoria High School, and then returned to complete high school, graduating in 1966. He managed, and was a meat cutter for the former, family owned Pelton’s Market in Fostoria. He had also worked at Tiffin Machinery and Bendix in Fostoria where he was a machinist and did welding. He also enjoyed woodworking, automobiles and trains. He remodeled his own home, and being a model train and layout enthusiast, at Christmas time he lovingly ran a model train in it, which became a fond and memorable family tradition. Visitation will be held from 6-8 pm, on Monday, November 26, 2018, at MANN-HARE-HOENING Funeral Home, 407 N. Countyline St. Fostoria, followed by funeral services at 8 pm. Pastor Jim Michaels, officiating. Harold will be laid to rest in Riverview Cemetery, West Milgrove, on Friday, November 30, 2018, at 12 noon, where the United Veterans of Fostoria will provide military honors. Memorial contributions may be considered to the Pelton family. Online expressions of sympathy may be made by visiting www.hoeningfuneralhome.com. To send flowers or a remembrance gift to the family of Harold R. Pelton I, please visit our Tribute Store. "Email Address" would like to share the life celebration of Harold R. Pelton I. Click on the "link" to go to share a favorite memory or leave a condolence message for the family.